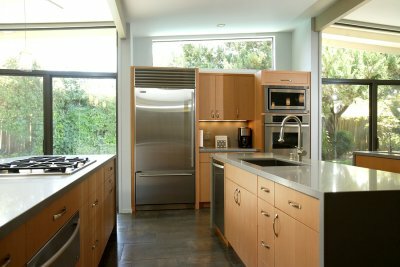 A kitchen remodel is a great way to boost the value of your home, while also improving the functionality and style of your space. With services from a licensed kitchen remodeler in Jacksonville , you will be able to build the kitchen of your dreams. As you are planning your kitchen remodel, however, it is important to consult with your kitchen and bathroom design team to make sure that you are preventing some common plumbing pitfalls. Here is a closer look at some costly mistakes that you will want to avoid during your remodel. While a new kitchen sink may not be the most exciting component of your renovation, it is very critical to pick out your sink, before you begin any plumbing or countertop installation work. If you redo your pipes or counters before you have selected a sink, you may find that your new sink does not fit in your space. By selecting your sink first, you will avoid having to redo your pipes or countertops at a later phase of the remodel. For your plumbing system to flow smoothly and safely, all of its pipes must be fitter securely together. When you are installing new pipes in your kitchen, you will need to make sure that your brand new pipes are compatible with the old pipes that will be forming the connections. If you happen to choose incompatible pipes, your plumber may be able to provide you with adjustable fittings. If you are very handy around the house, you may be tempted to perform many of your plumbing renovations and repairs using your own tools and equipment. However, neglecting to hire a professional contractor may end up costing you a fortune in the long run. By working with an experienced contractor, throughout every stage of your kitchen renovation, you can make sure that all of your new kitchen elements and appliances are installed safely and correctly. As trees grow, their roots can expand and penetrate the sewer line around your home. In this video, you will look at some methods that your plumber can use to solve sewer line issues that are caused by tree roots. Using a hand operated augur and copper sulfate crystals, a plumber serving Jacksonville can destroy any tree roots that may be clogging up your sewer line installation. If you are having troubles with your sewer line, be sure to contact a company that specializes in plumbing repair. A professional plumber will have the tools that are needed to eliminate sewer line clogs and solve any other plumbing issues that may be affecting your property. During the summer season, your family’s water bills may end up soaring. If you are tired of spending more on your water use each month, you may want to talk to your plumber about some water-saving upgrades that you can perform for your home. With a new hot water heater or bathroom design near Jacksonville, you will be able to dramatically cut down on the amount of water that is consumed by your fixtures and appliances on a daily basis. To help you go green at home, here are some helpful tips that will allow you to reduce your household’s water consumption. Your water heater may be a major source of water use in your household. If you have been relying on the same water heater for 15 years or longer, you are definitely overdue for a replacement. In order to save as much water as possible with your water heater installation, consider making the switch to a tankless unit, which will produce hot water on demand. Older toilet models can use up to seven gallons of water every time they are flushed. A simple way to cut down on your home’s water consumption is to swap out your outdated toilets with low flow models. A low flow toilet will have been designed to only use a maximum of 1.5 gallons of water per flush. With your new toilet installation, you can save water without compromising your comfort at home. Many of the plumbing products that you use around your home can be replaced with high efficiency models. In your kitchen, you can switch out your older dishwasher for a unit that has been designed to use less water per cycle. Low flow showerheads, faucets, and other plumbing devices will also help you curb your household water use. Your local plumber will be able to help you design a customized water saving strategy for your home. If you flush trash down the toilet, you may end up with a toilet clog. In this video from Clean My Space, you will learn about how to avoid clogs by identifying items that should never be flushed down the toilet. Common household items, such as dental floss, cooking grease, and band aids, can create major clogs in your drain line installation. With services from a plumber serving Jacksonville, you will be able to keep your toilets and drains clear. When a toilet clog occurs in your bathroom, your team of certified plumbers will be there to assist you. 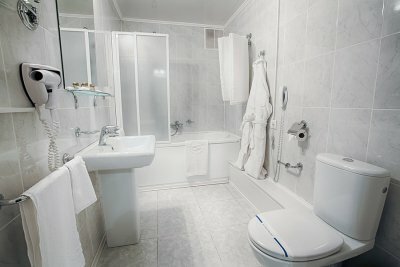 Using professional tools and proven techniques, your plumbers can get rid of the clog and keep your bathroom plumbing system in the clear.